Kevin Gillespie is a world-class chef who has appeared on Top Chef, CNN and many other network cooking shows. He has taken his local-sourced, seasonal and sustainable cooking strategy and applied them to the preparation of one of the least understood meats - pork. He talked about his new book - "Pure Pork Awesomeness" - with Art Young editor of The Outpost Magazine. 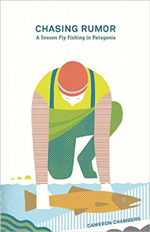 Robert Tiller is a product designer and fishing fanatic who lives in Sidney, Australia. His most recent award-winning design is the Flip Reel, a hand fishing gizmo that might change the way you fish. He talked with Outpost Editor Art Young. Like a lot of fly fishermen, Cameron Chambers had heard about the giant trout found in the Patagonia area of South America. One winter, he decided to chase that rumor himself. What happened is a fascinating story that he turned into a book called "Chasing Rumor." He recently stopped by the Outpost to share his story. Can a husband and wife work together and play together? If you're Julie McQueen and Daniel Lee Martin, the two co-hosts and producers of "Brotherhood Outdoors," the answer is a decided YES. Their mantra: Hunt, fish, sing, repeat. They recently joined Art Young at the Outpost. Capturing the amazing light and creatures found underwater in the ocean is the specialty of Florida artists Jason Mathias. His technique and reasons for his success are fascinating and he recently shared them with The Outpost. 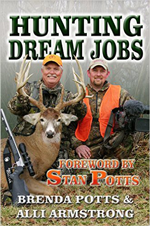 If you love hunting and fishing and would like to make your living by being in the outdoor sports industry, you'll find "Hunting Dream Jobs" an essential resource. The two authors - Brenda Potts and Alli Armstrong - talked with Outpost editor Art Young about what it takes to land one of these jobs. 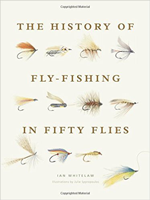 From the thousands of fly patterns developed over the centuries, author and angler Ian Whitelaw focused on 50 iconic flies for his new book "The History of Fly Fishing in Fifty Flies." The Outpost editor Art Young talked with Ian about his choices. Download or listen know. Checkout the interview at The Outpost Radio OnDemand, The Outpost Magazine, and TheOutpostLife.com. 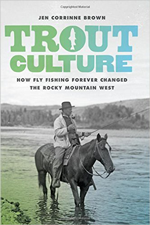 The fishing in the Rocky Mountain area of the U.S. has been forever changed by the popularity of trout. Unfortunately, many non-native species are causing unintended consequences. History professor and avid angler, Jen Brown, wrote the book about the environmental and economic effects of this. She joined Art Young of The Outpost to talk about her findings in "Trout Culture." Faster than White Lightning, The Cadillac Three has gone from being successful Nashville songwriters to performers at sold-out venues. Recently, the Outpost talked with band member Kelby Ray about what it's like to be killin' it up on stage.